[CNN, PBS, RHYTHM, LTTW] The whole world is grieving. Nelson Mandela, a figure who was and is often associated with human’s deepest desire toward peace, has left us all. South Africa’s current leader Jacob Zuma announced late Thursday that, after years suffering from health ailments, the man known widely by his clan name of Madiba died at 8:50 p.m. He was 95. Nelson Mandela, along with other South African fellows as Steve Bantu Biko and Donald Woods, are the names of daring minorities who stood against the apartheid practice. He transcended politics, using necessary violence, prison, and conscience as a springboard for message of struggle against racial oppression. He knew that the fight for equality has never been easy; in fact, it may take some necessary violence to counter such ignorance. The armed struggle was a defense mechanism against government violence, he said in response to the Sharpeville Massacre in 1956. “My people, Africans, are turning to deliberate acts of violence and of force against the government in order to persuade the government, in the only language which this government shows by its own behavior that it understands,” Mandela said at the time. In the winter of 1964, Nelson Mandela arrived on Robben Island where he would spend 18 of his 27 prison years. Confined to a small cell, the floor his bed, a bucket for a toilet, he was forced to do hard labor in a quarry. He was allowed one visitor a year for 30 minutes. He could write and receive one letter every six months. However, Robben Island and his subsequent prison years became the crucible which transformed him. Over the course of 27 years behind bars, Nelson Mandela proved to South Africa’s apartheid government that they would not succeed in crushing his intelligence and spirit. He resisted oppression, shattered barriers of ignorance, and opened doors of tolerance and understanding. 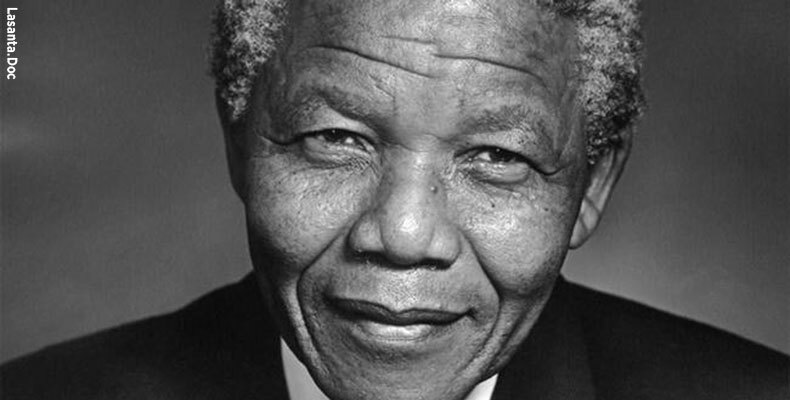 Following his release, Mandela was chosen president of South Africa in the country’s first multiracial election, while became the nation’s conscience as it healed from the scars of apartheid. Furthermore, he became one of the leaders of culture who shaped the 20th century.